I bought this lamp at TJ Maxx for $40 with the intention to paint it, and use it in my nursery. Never did I think it would turn out as well as it did! In two easy steps, I've created a brand new look! All it took was a can of white spray paint...I wrapped the parts I didn't want painted in aluminum foil. Step Two: freshen up the shade. I chose to paint the shade with Tulip fabric paint. 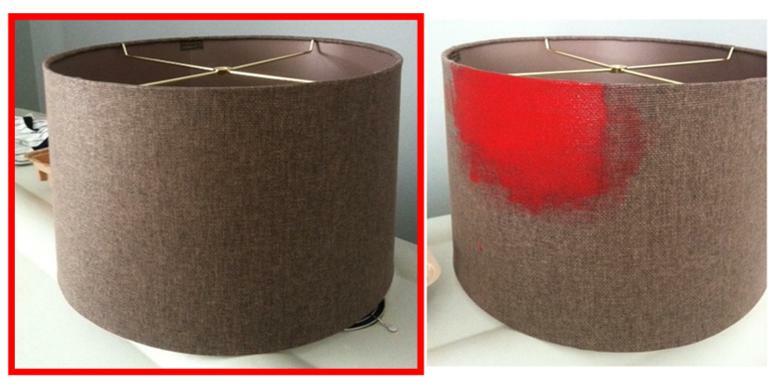 This just happened to work out perfectly...if it hadn't worked out, I planned to wrap the shade with fabric. But luckily for me, the shade took the paint well and it looked really good! ...and the result! I love it! So I've had this bookcase for a few years now - I think it might have cost about $20 at Target or Wal-Mart. For years now, it's been holding my school books and I keep telling myself that one day I'm going to cover the back with some fabric to freshen it up and add a punch of color and pattern. 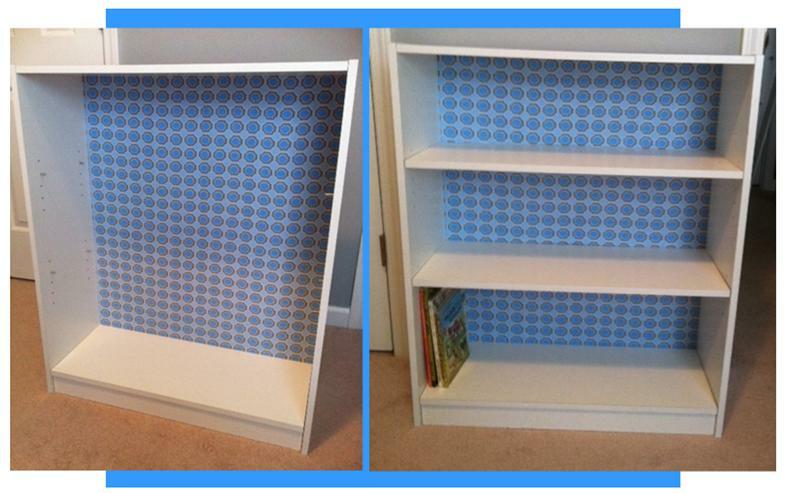 Well, now that I'm done with school and have moved my now-empty bookcase into the nursery, I decided it was finally time! Since my bookcase was already assembled, I had to remove the back in order to attach the fabric. Once the back was off, I used spray adhesive to coat the back. Next, carefully lay the fabric on top of the back and smooth out any wrinkles. Then, flip the back over to trim any excess fabric. 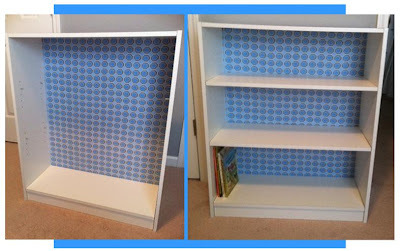 Once, glued and trimmed, re-attach the back to the bookcase and you're done! 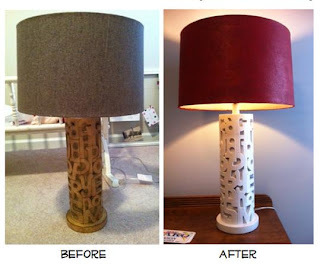 What do you have lying around that can use a fresh coat of paint or a fabric accent? Thanks for sharing all your good ideas.